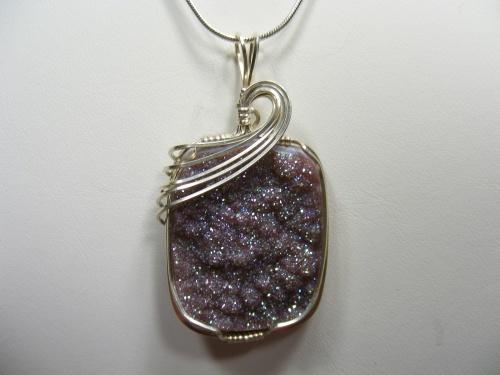 This gorgeous piece of titanium druzy gemstone is unique in its color and style. Dripping with swirls of sterling silver and popping with sparkle every which way you look at it. Piece measures 2" by 1" and comes with a sterling silver snake chain.